Choose the perfect wines to complement a turkey dinner with all the trimmings. Whether you’re hosting Thanksgiving dinner or you’re a guest, chances are you may find yourself in charge of the wine selection this holiday season. However, if your Thanksgiving Day experience begins with the Macy’s Parade and ends with the last man standing, you’ll need to be a bit more creative. Here are some basic tips for selecting the perfect wine for your turkey dinner. Thanksgiving meals can range from a coordinated bounty of colorful dishes honed to perfection over generations to an ad hoc collection of dishes brought by friends and relatives, ranging from delightful to dubious. The essence of Thanksgiving is plentiful dishes, good company and hopefully a perfectly cooked turkey. Luckily, turkey is extremely versatile when it comes to wine pairing, and most traditional side dishes are also very wine-friendly. Pinot Noir – This iconic Thanksgiving wine has great acidity, low tannin and moderate levels of alcohol, which means a Pinot Noir won’t overpower your carefully prepared recipes or shrink in their presence. By all means, have a bottle of Pinot Noir on the table, but if you are looking for more variety, add at least one bottle of medium- bodied red wine and one bottle of full-bodied white wine. 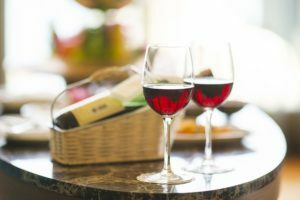 Medium-bodied red wines – Often referred to as “food wines,” these selections offer lots of flavor and well-balanced acidity, which make them a great match for a wide variety of foods. 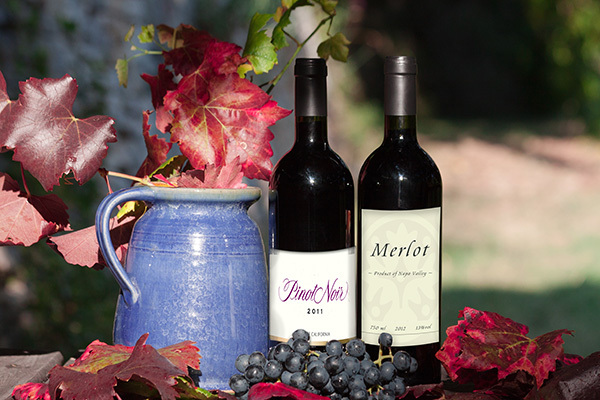 The most popular medium-bodied red is Merlot, with its fruity plum and cherry flavors. A young Italian Sangiovese adds a bit more complexity with its unique clove-spiced cherry flavors. Also, going with the cherry theme, Carmenere from Chile offers a hint of sour cherries on top of mineral and earthy notes. 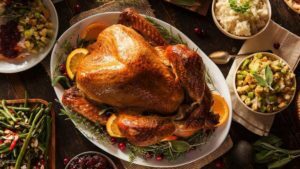 These selections enhance the turkey flavors, as well as traditionally prepared side dishes such as carrots, squash and sweet potatoes spiced with nutmeg, cloves or cinnamon. Full-Bodied White Wines – With a subtle creaminess and a smooth taste, full-bodied whites aged in oak barrels contribute to the smooth taste. The classic choice is Chardonnay, and for a Thanksgiving dinner, I’d recommend one from a warmer climate such as California or Spain. These wines tend to have fruitier flavors that add a nice accent to the Thanksgiving feast. Viognier, originating in Southern France, is a wine known for its heady aromas of peach, tangerine and honeysuckle. Stronger in flavor than Chardonnay, a mouthful of Viognier allows the sage, rosemary and thyme poultry spices to really pop. Seasonal Wines – If you’re looking for wines with a festive seasonal flair, consider a cranberry wine or apple cinnamon wine. These limited-release autumn wines can add that extra touch to your perfect Thanksgiving feast. Cooking Wine – Lastly, here is a tip exclusively for the Thanksgiving dinner host: the perfect cooking wine. This wine should be your favorite wine, reserved only for you. It’s what takes the edge off a house full of people and a demanding bird in the oven. After all, aren’t you thankful for a good grape harvest? Wishing you and your loved ones a very Happy Thanksgiving. As always, the great staff at Island Winery is happy to help you select your holiday wine! 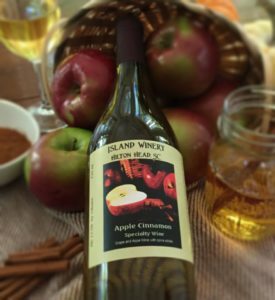 The perfect bottle of hand-crafted artisan wine awaits at Island Winery at 12 Cardinal Rd. Wine by the glass and cheese platters are available Monday-Saturday from 12:30-5:30 p.m. and Sunday from 12-4 p.m. (843) 842-3141 or islandwinery.com.